UPDATE: Warhorse Studios now shared an official statement to explain the reasons behind the delay. We at Warhorse Studios decided to postpone the final release date for Kingdom Come: Deliverance to achieve the quality we and our players expect. 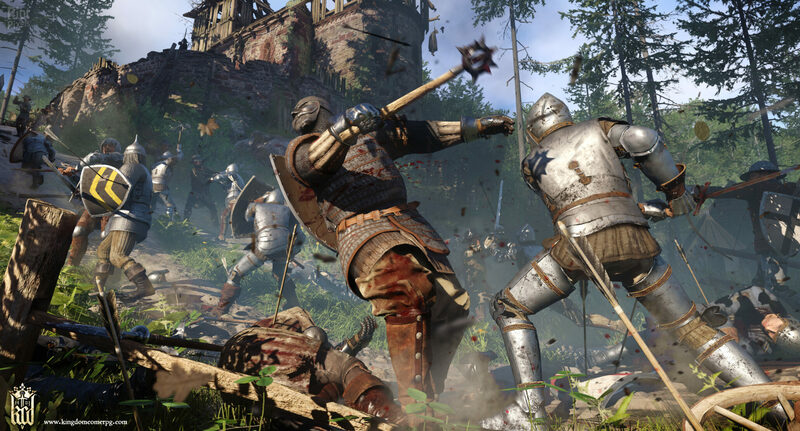 We want Kingdom Come: Deliverance to be an exceptional RPG and that requires exceptional treatment and polishing. Since the successful Kickstarter campaign, we have listened intently to the opinions of our fans and with the new language packs, we hope to get even more feedback that will help us deliver the best possible gaming experience. We believe that the result will be a great collective project and will be well worth the wait. It’s always hard to make decisions like these and we are truly sorry if we disappointed some of our loyal fans. A new release date will be announced later this year, but is estimated for 2017. Thank you for your support. ORIGINAL STORY: Usually, role playing games with a medieval background almost always have a fantasy spin. That’s not the case of Kingdom Come: Deliverance, which is a realistic single player RPG being made by Warhorse Studios (founded by former Mafia developers). Kingdom Come: Deliverance, which is powered by CRYENGINE technology, was successfully Kickstarted on February 20, 2014 for a total of £1,106,371 though the tally continued to go up as Warhorse then allowed contributions via their official website. Originally scheduled to release in Q4 2015, the game was first pushed to Summer 2016 on April 2, 2015. The beta version was released for backers on March 3, 2016, but at the same time Warhorse Studios confirmed to Polygon that the game would be delayed on PC in order to release it alongside PlayStation 4 and Xbox One, though they still confided to release within the year. However, we’ve recently talked with a Warhorse spokesperson and got confirmation that Kingdom Come: Deliverance won’t be launched this year. An official announcement regarding the definitive release date can be expected between E3 and Gamescom, given that a Community Manager said on April 17 that it won’t be much longer until there’s an official release date. A first-person, open world, realistic RPG that will take you to Medieval Europe in a time of great upheaval and strife. A humble, young blacksmith loses everything to war. As he tries to fulfill the dying wish of his father, Fate drags him into the thick of a conspiracy to save a kidnapped king and stop a bloody conflict. You will wander the world, fighting as a knight, lurking in the shadows as a rogue, or using the bard’s charm to persuade people to your cause. You will dive deep into a sweeping, epic, nonlinear story from Daniel Vávra, an award-winning designer from the Mafia series. Our unique, first-person combat system lets you wield sword or bow in both one-on-one skirmishes and large-scale battles. All of this – and more – brought to life beautifully with next-gen visuals delivered via Cryengine. Take a look at the beta access trailer below.